Perfect solution for scheduling with all required functionality out-of-the-box. DHTMLX Event Scheduler provides smooth and seamless work in all modern web browsers including Google Chrome, Internet Explorer (8+), Safari, Firefox, and MS Edge. dhtmlxScheduler works equally well with any back-end technology due to a simple and efficient implementation of REST API on the server side and our client-side library dhtmlxDataProcessor. Check our full guide on server-side integration in documentation. dhtmlxScheduler features the ability to display recurring events which can be repeated on a daily, weekly, monthly, or yearly basis. Events can be configured in the popup event editor that provides detailed parameters to set up events recurrence. 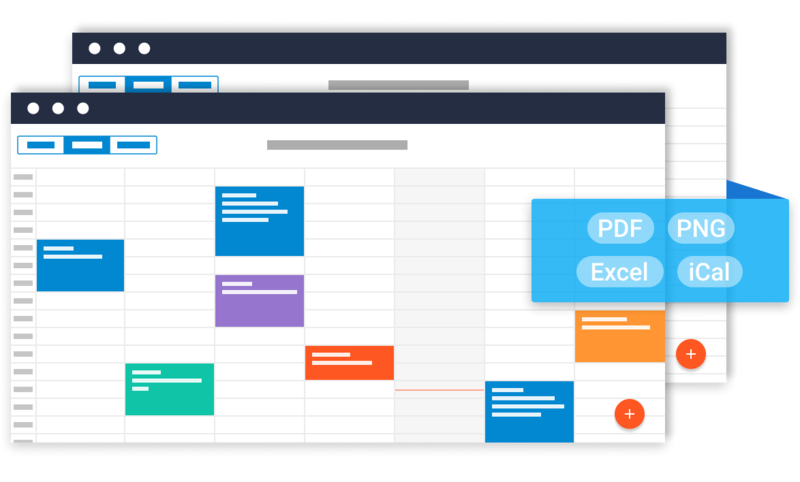 This event calendar provides full support for touch screen devices (iOS, Android, Windows 8), including desktop monitors, tablets, and smartphones. All features available in dhtmlxScheduler are working on touch screens, including drag-and-drop, scrolling, and editing. Our js scheduler includes 10 calendar views, which answer various needs of end users. The most common views like Day, Week, and Month are added by default. 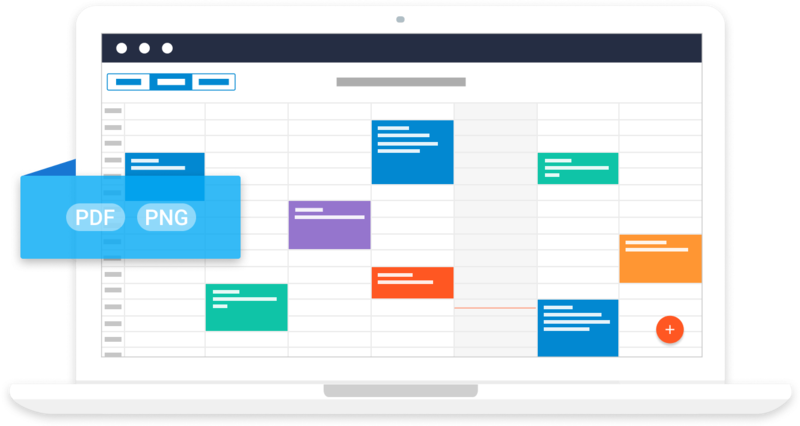 Extension views like Agenda, Week Agenda, Grid, Map, Timeline, Units, and Year view allow you to tailor-make your calendar easily. To make your web calendar accessible, you can enable accessibility features like WAI-ARIA support, high-contrast themes and keyboard navigation. Check the documentation for more details. Make use of our online export service for the export of your event calendar to PDF and PNG formats. The service is provided for free under your active license subscription. Get your own local export module to be installed on your server for a fast and safe export of Scheduler to PDF and PNG. You may choose to deploy the module via Docker image, VM image for Amazon cloud or a standalone export module. Get more tools at the best price for building full-featured apps faster.